Member states are affected in very different ways by the refugee crisis. But all of them worry about what will happen when Germany’s capacity to absorb asylum seekers reaches saturation point. The EURACTIV network reports. The first EU leaders to announce that they would close their borders if Germany does were Bulgarian Prime Minister Boyko Borissov, his Romanian colleague Victor Ponta, and their counterpart from candidate country Serbia, Alexandar Vu?i?. In the meantime, Romanian President Klaus Iohannis criticised Ponta, saying that the premier had no mandate to commit Romania in any way. So far, Romanian officials have argued that the country has a limited capacity to accommodate refugees. Although the official rhetoric goes directly against the quota system approved by the EU, Romania will nonetheless comply. Aurescu clearly stated that Romania will not contest the EU’s decision at the European Court of Justice, like the Czech Republic did, before giving up. The European Commission plan to relocate migrants from Italy and Greece was opposed by the Czech government, but the country was outvoted at the ministerial meeting when member states decided by qualified majority. “We do not believe the quotas will work anyway, but we will comply with the rules,” EU State Secretary Tomáš Prouza told EURACTIV.cz. The Czech government now emphasises restoration of control of the EU’s external borders, and “cooperation with third countries”, a euphemism for speeding up deportations. The country provides modest contribution to the EU-wide efforts, in money and in personnel. The Czech Republic has already deployed 50 policemen to Hungary, and has decided to deploy another 20 policemen to the Slovenian border. By the end of October, Prague provided aid to Croatia, and is ready to help Macedonia and Slovenia. It is also providing aid to Frontex and EASO, the EU asylum support office. Cooperation with Turkey is extremely important, Prague says. The country has welcomed the agreement on an EU-Turkey joint action plan in the European Council meeting in October, in which EU leaders tried to accommodate ambitious demands by Turkish President Recep Tayyip Erdo?an. “If we are able to fulfill the EU-Turkey plan, it could finally change the situation on migration next year,” Prime Minister Bohuslav Sobotka believes. Sobotka’s government has approved financial aid for third and transit countries via EU Regional Trust Fund MADAD (136 million CZK, or €5 million) and new EU Emergency Trust Fund for Africa (16 million CZK, or €590.000). It will also contribute to the World Food Program (16 million CZK, €591,090.58) and UNHCR (5 million CZK, €184.000). Slovakia appears to be the most reluctant country to accept refugees under the relocation scheme, with the exception of 200 Syrian Christians promised on a voluntary basis, a proposal that caused outrage in Brussels and in other capitals. Slovak Prime Minister Robert Fico addressed the issue of rapprochement with Turkey at the yesterday’s press conference. He said that there are several million refugees that need to be detained in Turkey. Therefore, leading the “sanctimonious human rights debate” is counterproductive. Fico and the government are very cautious about any changes to the Dublin II agreement. Interestingly enough, in 2006 Fico endorsed Turkish membership in the EU. Slovakia does not plan on implementing the mandatory quota scheme. On the other hand, Slovakia is still gearing up to challenge quotas at the European Court of Justice. According to the premier, the case will be filed prior to 18 December. Fico stressed that he is not against refugees, nor solidarity. Bratislava doesn’t want European Border Guards, or a “liberalisation” of the Dublin II asylum rules, insisting that bilateral readmission agreements are a better way to go. Concerning Turkey, Prime Minister Robert Fico favours a pragmatic approach. Regarding money and experts, Slovakia is ready to be more generous than its usual contribution, calculated on the basis of GDP, diplomats said. In Poland, the outgoing government of Ewa Kopacz (Civic Platform) has agreed to take 7000 refugees. They are supposed to arrive in Poland within the next year. Yet, Poland is in between governments. The new government of the conservative Law and Justice party (Prawo i Sprawiedliwo? ?, PiS, in Polish) has not yet been formed, but its negative party line on the refugees has been known for a while now. Before the elections. PiS leader Jaros?aw Kaczy?ski, had cautioned against the refugees, as “they might bring various diseases, harmless to them, but for which we are not prepared”. His comments have drawn widespread criticism due to their semblance to anti-Jewish propaganda during the Nazi occupation of Poland. Some of the party’s MPs have already said that they will try to reverse the previous government’s decision on resettling refugees in Poland. But it is not yet, at least, the official party line. The PiS leadership had said earlier that the decision will be made after the elections with the security of Poland in mind. It may seem surprising that most of the refugees want to reach Germany, but not France. Europe must react strongly to this unprecedented migrant crisis,” said Harlem Désir, France’s State Secretary for European Affairs, to EURACTIV. 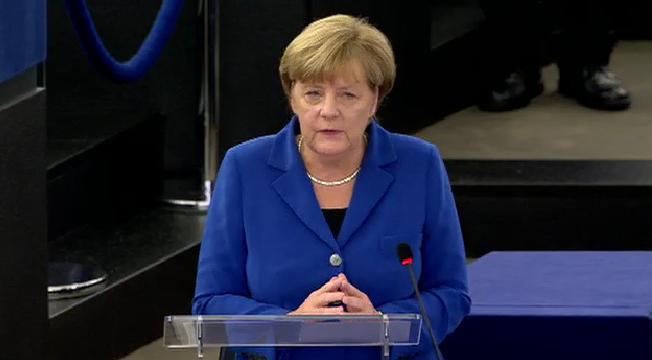 “We have agreed to take in 30 000 refugees […] within the relocation mechanism. […] The President [Hollande] has also decided this summer to let Syrians arriving in Germany relocate in France,” he explained. “The registration centres, housing facilities and hotspots in Greece and Italy are a cornerstone of the European reaction. […] France will allocate 60 staff members to Frontex and 18 agents to the European Asylum Support Office (EASO) in order to help Italy and Greece. […] All the member states have to help out, because Frontex has asked for an additional support of around 700 staff”, Désir said further. “France has also allocated €100 million to the UN agencies. The French minister added that Paris plans to contribute to the European investment fund for development that should be set up at the Valletta summit on migration between the EU and African countries, to be held on 11-12 November. France is still slightly reluctant to enlarge or modify the Schengen area. “[Schengen] is up and running, but it has to be strengthened and improved,” he declared. “Romania and Bulgaria will integrate the Schengen area when the conditions are right. Today, it is not on the agenda,” Désir said. “One thing is certain, however: we need to start building a common European asylum system, with a list of safe countries of origins used by all member states, for example,” France’s State Secretary for European Affairs concluded. Italy has already spent at least one billion euros on migration this year. In the last month alone, 90 migrants were relocated. But this number is far too small. 80 of them should ideally leave Italy every day, in order to redistribute 40,000 migrants in two years, as agreed by EU leaders. Italian Home Affairs Minister Angelino Alfano said “if (the) reallocation mechanism work(s), (will we) open five Italian hotspots”. At the moment, just one hotspot is currently working in Lampedusa. Italy has always been in favor of reforming the Dublin Treaty. Italian Foreign Affairs Minister Paolo Genitiloni said that the “refugee crisis will not be solved with rules older than 25 years. Immigration and return policies need to be organized together“. Gentiloni called “brave” German Chancellor Angela Merkel’s decision to open German doors to refugees. Indeed, since the announcement, asylum seekers have avoided Italy, and taken the Western Balkans route, through Greece. Put under “huge pressure” by the EU, according to Minister for Migration Policy Ioannis Mouzalas, Greece agreed to host 50,000 refugees as part of the new EU plan, unveiled following the mini-summit held on 25-26 October. Another 50,000 will be hosted along the Western Balkan route, although the details remain unclear. This “buffer” is believed to be needed in case of bottlenecks at borders further north, and also in case of bad weather. Athens believes that Frontex’s role should be reinforced with joint naval patrols with Turkey in the Aegean Sea. Mouzalas said that the government did not expect a refugee “explosion”, except in the event of an extreme scenario, such as bombing Damascus. Greece’s primary goal is to seek a solution to the refugee crisis in Turkey “which is the true gateway in Europe”. The Greek minister stressed that the European Union should try to resolve the crisis in Syria, but also in neighboring countries such as Turkey, Jordan and Lebanon, and financially support the major refugee camps there. “The EU needs to ensure that the relocation of refugees in Europe is done directly from there, without having people coming to Greece,” Mouzalas noted. At the same time, Athens is pushing the EU to loosen budgetary discipline. “Greece has raised the issue of relaxing the strict budgetary constraints due to the refugee crisis,” the minister said, adding that Brussels “is listening” to the Greek arguments. Chancellor Angela Merkel is becoming increasingly unpopular in her own ranks with her “we can do it” policy, though Der Tagesspiegel notes that Merkel retains surprisingly broad public support for her handling of the refugee crisis. One point of contention are border controls. CSU chief Horst Seehofer recently urged Merkel to implement Bavarian demands for a limitation of the refugee influx beginning 1 November. Seehofer is considering recalling his ministers, Alexander Dobrindt, Gerd Müller and Christian Schmidt from the Merkel cabinet, to pressure the Chancellor. Bavaria has fallen into a dispute with Austria, which is currently bringing thousands of refugees to the border with Germany without notice. This was “irresponsible behavior of the Austrian Government, which I can only describe as scandalous,” said Bavarian Interior Minister Joachim Herrmann (CSU). However, Green politician Volker Beck questioned the legality of border controls by Germany and other EU countries in general. In a letter to European Commission President Jean-Claude Juncker, he demanded an explanation as to whether the influx of refugees can be defined as “a serious threat to public policy or internal security”. To cope with the crisis, Development Minister Gerd Müller (CSU) is calling for the establishment of an EU High Commissioner for Refugees. He also wants a European infrastructure fund of at least €10 billion to deal with the problems in refugees’ home countries. Germany wanted the migrants so Germany can have the migrants, all of the migrants. Why should any other country suffer for German arrogance. the EU talks a lot about money but where does that money come from…… it must be great to not worry about spending other peoples money. well what if the tap is turned off.